It is simple. I am a fan of apps that do one thing very well. Mailshake fits the bill because it does cold email outreach really really well. It is very easy to use, very intuitive. No unnecessary bells and whistles. And even with this simplicity, their feature to personalize emails for every user is phenomenal. Gives you complete control and makes cold email tasks less time-consuming. - a central list for all the contacts that have been added as part of the campaign. We started using Mailshake for Cold emails. And now we also use it to send nurture emails to our prospects. We love the ability to personalize email messages. You define a template email cadence and then go through each recipient and personalize their message. It is simple and effective. "Send cold emails with ease"
Mailshake is amazing for our business. We already had a list of a few hundred potentially interested clients that we collected from our landing page. We could have imported them into MailChimp or MailerLite, but that would be overkill. Plus we only needed a plain text email and preferred doing a drip campaign. It was so easy to put everything into an excel spreadsheet, upload it to Mailshake, and get emails sent instantly. Plus it works straight out of Gmail! Mailshake could add another email provider on top of Gmail. Gmail limits you to about 500 emails a day, so if you need to send more than that, you're out of luck. We have been able to reach and follow up with hundreds of interested individuals and have gained leads that we were able to convert into deals. Email is ancient, but at the same time the future! Hey Monqiue, thanks for your feedback. Most of our customers utilize Gsuite, because as you said Gmail limits you to 500 a day. Gsuite limits you to 2000 per email account, but we've found that number to be ~1100 a day. If you have multiple Gsuite accounts connected to Mailshake you can send thousands of emails per day. Congratulations on your lead conversions from email! Keep it up. "A Company Who Cares about your success almost as much as you!" I was sceptical at first. Thinking no this is just another platform for me to spam connection. But after using it once I was blown away by the results. I had an average campaign, that yielded some good results. But what was more amazing, the fact that one of the team members spent the time to create a video reviewing my campaign and gave me some great help! At first, it took me a little bit to understand, as any platform does. Their customer onboarding took care of that really quickly. Leads, we need more leads. (As does everyone). Even if our campaign failed (Which is didn't) I would still recommend this service. Because one of the team will jump on and help you become successful. For the price, we pay we don't deserve any attention. But the team doesn't care if you pay 1,000 a month of barely anything they are always there to help out! "Wouldn’t use any other option"
The ease of use and design. Their support, I asked them a couple of questions and they got back to me quickly. Before using mailshake I was using separate tools for my email marketing and it was all fine at the beginning, but when campaigns and lists start to pile up, it was really hard to keep track of what’s going on. With mailshake I know exactly where in the process each email I send is at any moment, and it gives me real time feedback on my campaign and suggestions when I’m composing my emails ! Simplicity and Zapier integrations, they are absolute game changers. Mailshake is efficient way to reach out to your potential backlink vendors. I love the design, simplicity and intuitiveness. Their educational courses are on-point, and I strongly suggest you take advantage of them early. Pricing is a bit steep, especially for startup businesses. The value is there, but in the first few months of learning how to utilize it, there is awful much money wasted. Especially complex for busy entrepreneurs that are tackling multiple projects at the same time. There is a learning curve to making this work, that goes beyond just software features. Cold emailing for the sake of backlinking. It really streamlines that backlink acquisition for the SEOs. If you are an SEO that does outreach, you will definitively get the benefit of using Mailshake. Zapier integration will also prove to be quite effective, and can allow you to merge your sign up forms and your email marketing campaigns. Sequences can help you stay on top of your link providers on auto-pilot. Ease of use, multi-user access, great reporting and interface. It is very easy to use and train staff in the software. The whole design is simple, extremely friendly with all the tools I need. Most important is the deliverability and open rates on email. A lot of this is down to the quality of the list, but I have no issues as it connects directly to my legit google business account to send. About the platform, really hard pressed to find anything, I think the limitations and price are very fair. Being very nitpicky, I would like to see some pre-formatted campaign reporting or summary notifications in the future, and further integration with other platforms. I would recommend this software any day of the week, though it is smaller than alternatives, is simply worth it for the best ease of use and interface alone. It makes it so easy to train new staff, enabling you to automate and scale your projects! Being able to schedule and automate sequences in other time zones is huge. Absolute godsend software. It completely takes the pain away from my team having to worry about the delivery method. We can very quickly build an outreach project or re-engagement with this tool. "I'm in love with Mailshake"
Mailshake is amazing. We are using it for outbound email and getting outstanding open rates and reply rates. We also use it for emails to users during the trial period of the product - I love how it automatically pauses people when they have replied to a message. The link tracking that points to a subdomain is an amazing feature too. I wish that it would pause not just drips but also new emails when someone replied. I also wish it was easier to pause all the contacts at one company and generally manage outbound to different contacts at one company. It's by far the best cold outreach software there is. Hands down. Mailshake is our go-to tool for outbound cold email as well as converting trial customers down the funnel. "A simple but effective tool"
Perfectly set up tool that never whacks you. I used to work with the other cold outreach tools, and they all had one feature: lots of functions, and not a single works properly. Mailshake does not have an automated email scraper, but it does a great job in setting up the campaigns. Inability to edit the templates outside of the campaign, and integration with Zapier sometimes makes me sad. I'd better make the direct integration with the Google Sheets via API. Research the ways to create the email lists and check their Cold Outreach Academy, that will give you very valuable insights and highlight the possible mistakes. "Simple, easy, and has room for improvements"
What I like best about Mailshake is its simplicity and ease of use. What I dislike is oddly partly what I like best about it. The simplicity is just too simple for my needs, sometimes but thankfully, I've noticed some upgrades/improvements on the platform. I just hope we can save our own templates instead of duplicating campaigns. There is also an issue I keep experiencing with message format where I duplicate a campaign and always need to correct the format of the messages. Also the need to check on what email account the campaign is to be sent from AFTER setting it up can be easily missed. It all gets time consuming. 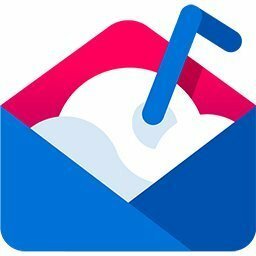 If you have a huge list of emails/recipients and using Gmail, Mailshake is limited. Sending campaigns, reaching out to hundreds of potential leads and current clients is made easy. "best for cold outreach "
Mailshake uses our google accounts for sending the emails which is the best feature of the tool. Its advanced autoresponder gives the ease to schedule 3-4 or 5 follow ups in a single campaign. Recently they had added new email templates and more advanced features to launch a successful campaign. with its analytics, you can put your eye on every small fluctuation in your campaigns. As there is nothing much to dislike, but sometimes your campaign automatically paused. most of the time its very time consuming to validate the whole configurations to restart the campaigns. apart from this issue rest is fantastic. the biggest problem with cold outreach is getting the response on your email but with follow-up schedule of Mailshake make the cold outreach easy. "Simple and usable with few trade-offs for functionality"
Ease of setting up messages and editable messages in very personalised campaigns. The look'n'feel of the interface is very clean, actions are obvious and easy to follow. List cleaning service built-in makes this easy. So far, there is no 'recurring' trigger (time based) for repeated emails. I am looking to set this up via Zapier or IFTTT. It's not unusual, most competitors don't have it either. Try it, get the pro version and use it with a team. Servicing clients on follow-through programs: Benefits: Saving time and reliability and repeatability of campaigns. "Top tool for direct outreach in bulk"
Very minor - would like to see the amount of recipients in each list when uploading multiple. It also would be great if formatting started with the right font size vs having to apply, or maybe a clean-text hrml editor to paste direct code with clear formatting. Mailshake is the best tool I have used to drive interactions with prospects in the B2B space through SDR or market development services. "A core essential in our sales and marketing plans"
It's super easy to use. Drag and drop contact list, automatically notify me of recipients who are affected by a separate campaign (And remove them quickly with a click), easy to build templates. Can't think of anything for now based on the specific purpose of usage we look to achieve. Review other platforms and make a decision based on your need. However, the potential ROI greatly outweighs the cost. So its a need rather than a want. "Straightforward platform & great support"
Great support - free review of the campaign. Great blog, although that could be a bit better, although giving free advice is not their business. Pricing is very competitive as well. Tracking link clicks - they provide this feature but then they say this could get negative marking from google but then how do other companies do it. Maybe everyone faces this issue but only these guys are upfront about it. Give it a shot if you want a straightforward cold emailing platform that works. "A great tool for your outbound marketing needs!" I love the fact that I can easily use the old fashion csv file, mail merge it with their easy to use interface then incorporate the data into our CRM. I don't know how to easily connect with my CRM but will figure it out, at some point. Try it out on the free version - it's great! We use it for current customers as it is EASY to customize our messages to customers with this - all text is all we need. "Mailshake fills a valuable need"
"Great software that cuts out alot of the lugwork"
The main annoyance is that we can only see when someone has viewed an email only once..
it saves so much time from doing it manually,, that was its major benefit for me. "Automation tool that doesn't automate process"
I use Mailshake for emailing and my experience with it is terrible. First, it is breaking all campaigns (even scheduled), second out of office reply is counted as potential lead so it doesn't send follow-ups to those people. Third thing is that email support@mailshake.com doesn't work, just form that I dug somewhere but that is not the end. On my question why it breaks initial campaign and information that their email is not working I got an answer 'can you tell me when you wrote us since we want to ensure that we answer....' typical support answer but without reply on my problem. I wrote a couple of time since then and I am waiting for 20 days, no answer. So, an automatic tool that doesn't automate a process and without support. I would never go into such an adventure again. Paying for nothing, it doesn\t worth even a penny. If you want automation tool that is so buggy that processes are not automated and support that is not answering to you (even though you are paying for it) then Mailshake is the great choice for you. "Easy to use, great simple way to send out email chains"
I love how easy it is to set up rules for different email chains, and track the open and bounce rates. Nothing - it's been great so far. We love mailshake. Definitely try out this product if you want to send out sales emails. Mailshake has given us a way to send out many emails and make them look personalized and professional. It saves our reps a ton of time. "Just works... and great support"
I like the customize-able fields so that I can speak directly to a bunch of clients or get cozy with new ones. I use MailShake in conjunction to another Mail service. Because it personalises things so well I make sure I protect my lists on Mailshake and if I send out something that is likely to get me blocked, I use the other service. What I like the best is the easy use of the software. It makes writing emails more fun & I really enjoy using Mailshake everyday. The customer service is also very good. They are so responsive when getting back to you. The support is there 100%. What I dislike is honestly nothing at all. Being able to write, track & improve my emailing. Easy upload of lists and easy editing of emails. Inability to edit lists once uploaded but the workaround is to edit the source list and upload it again. It is the only product I know of that allows you to edit emails in the queue to go before they are sent, and I mean individual emails, not email templates. Autoresponders are great tools for any business as they can save a huge amount of time and effort. "Simple & Smart Email Outreach Software"
User interface is simple & intuitive. Takes only minutes to set up a campaign and very easy to track results. Really don't have any comments here. It's been the top option for email outreach that our team has tried. Test it out for your next campaign and you'll be hooked. "Ease of use, great outreach tool"
Easy to use, and produces results. Works with G Suite out of the box, so powerful email. Not anything. I like that you guys keep improving it. Outreach and cold emailing has always been a pain, but no longer. "Still learning the tool, but mail campaigns coming together"
"Easy to send emails - just what we need. " I love how simple everything is. Mailshake is to the point, clean and efficient. It saves me time and helps me organize my many many emails. Emailing a ton of people, tracking them, and organizing my lists. not much really. Maybe find more targeted cold leads. Not able to connect other email providers. My title says it all. If your a marketing company looking for fresh leads, then MailShake will make it easier for you. "Best all around cold email tool"
"Great solution for cold emails"
Very easy to use. Good content regarding best practices. Analytics could be better, some limitations in the email cadences you can create. My ability to analyze large email drip campaigns and find information such as click rates, opens, and any generated leads all from mailshake. Mailshakes funtionality when it comes to formatting on the templates. Reaching a large audience quickly, saving emails from getting bounced/marked as spam, and connecting with leads. "Best platform for sales outreach"
Can't think of anything to be honest! Mailshake offers great value. "Great product -- especially for blogger outreach"
The platform is extremely intuitive and easy to "figure out"
Haven't found anything I dislike yet. I have found the system extremely easy to use and very effective. How helpful everyone is when I have a question. This tool is hands down the best investment I’ve ever made. "Great simple tool for outreach"
Jump right in! Super easy to setup and create mail campaigns. Handling email outreach to cold leads. "Great price, simple and effective software"
I love how simple it is to use. It's great for testing messaging and running different outbound drip campaigns to lists. Can't think of anything I dislike. Their updates are always awesome. "Easy to use and effective if utilized properly"
How easy it is to upload emails and send them with a personal touch. Being able to send lots of messages at once. "Really good product and amazing customer service"
Not much to be honest, it really is great. I think they should be able to make multiple timezones for different campaigns though. * We monitor all Mailshake reviews to prevent fraudulent reviews and keep review quality high. We do not post reviews by company employees or direct competitors. Validated reviews require the user to submit a screenshot of the product containing their user ID, in order to verify a user is an actual user of the product. Hi there! Are you looking to implement a solution like Mailshake?